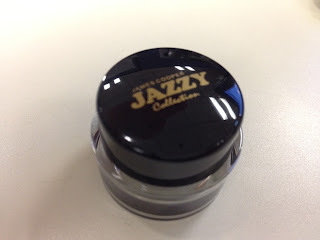 James Cooper Jazzy Collection Gel Eyeliner | Vanity and Everything in Between. I sold my MAC Blacktrack a few months ago because I was so into Harajuku liquid eyeliner (well, I still am). Any MAC makeup is difficult for me to let go but I just had to. I didn't have any regrets selling it until I got my MAC 211 brush. It's meant for gel liners for it to work perfectly. But I no longer have any gel liner! So, I checked out the makeup section of SM department store to see if there are any cheap gel liners. I could have bought a new MAC Blacktrack if I wanted to but the purpose was for me to try out the MAC 211 brush. At that time, I still preferred my Harajuku liquid eyeliners. I came across Fanny Serrano, James Cooper, and Maybelline. 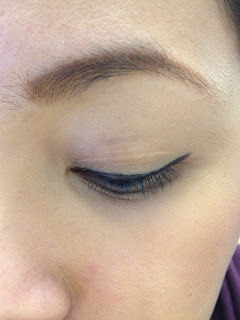 No brainer, I picked Maybelline's gel eyeliner. I immediately got the one in black and it was 30% off! Steal, right! After paying for it, I immediately left to avoid any makeup temptation. 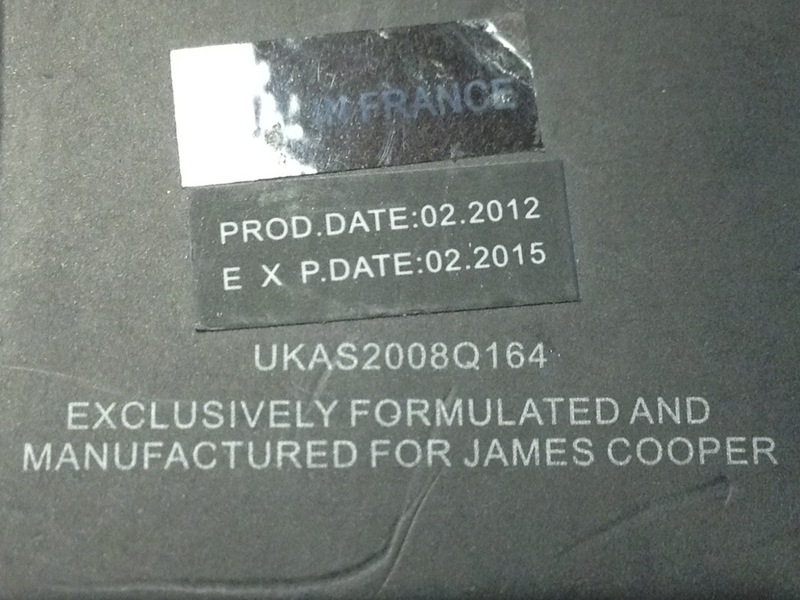 Then I saw James Cooper which was also on sale at that time! 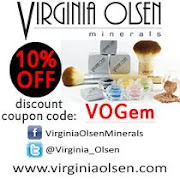 10% off on all items if I remember correctly. 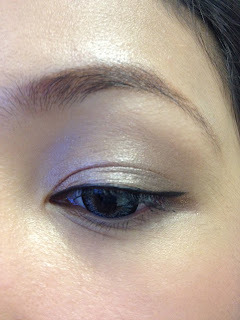 What really caught me was the cream eyeshadows cos they are very reminiscent of Maybelline 24 hour eye tattoo. Right beside the cream shadows were the gel liners. Black, brown, and blue. Retails at PhP299. Since it was on sale, I told myself, "why the hell not?" I got brown and blue. To my dismay, I got brown and black gel liners. But then again, it's cool. 3 years to expire, no freaking way! 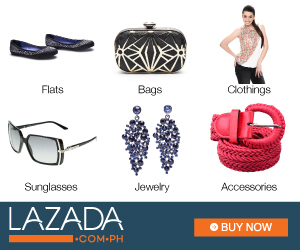 - very affordable at PhP299! - cap is made of thin plastic. This might cause the gel liner to dry fast. I'm satisfied with this purchase! It retails for PhP299 and I told myself that I would not feel bad if this product is crappy. But I was just amazed the first time I dipped my gel liner brush! It's not dry and application is a breeze! I've been using this for a week now and I really like it! I usually have a lot of time to put on makeup so I don't find difficulty in applying the gel liner just yet. 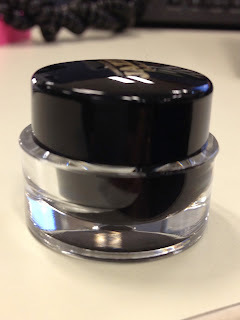 I also got another gel liner in brown and I can't wait to use it as well! This could be a dupe for MAC's Blacktrack because all traits are there. Blacktrack also transfers on my lids when I don't have any primer on my lids. Even though James Cooper's gel liner does the same, it doesn't smudge nor give me that panda eyes. 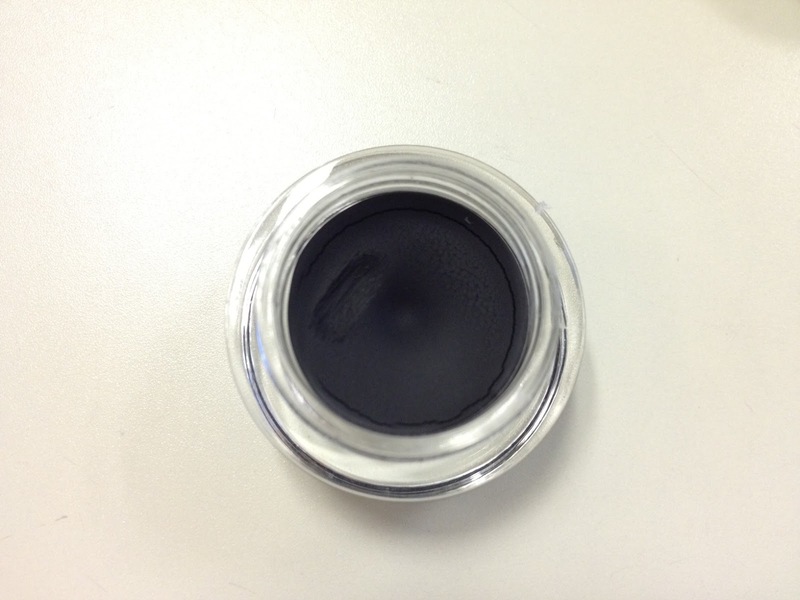 Most of the gel liner is intact where you placed it. I think I found a new love in gel liners! How about you? Have you tried this product or any product from James Cooper? Let me know! I've only tried their powder foundation and a blush but not their gel liners. I've wanted to try them out but i have to finish the ones I have now before buying. I also want to try their cream shadows. They are soooo pigmented! wow, merun talaga syang expiry date =) ang galing naman.. parang bihira lang ako makakita ng gel liners na may expiry date = Approved! @ rhania: it' nice taiga!